Maggie Warren grew up in a rural community in northeast Kansas where she learned the values of integrity and hard work while developing her leadership skills in 4-H. She graduated from Washburn University of Topeka in 1974, soon acquired a real estate license and began her business career, specializing in property management. 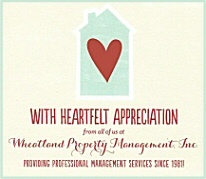 In 1981 Maggie founded Wheatland, initially specializing in the management of multi-unit residential properties. A few years later she recognized the opportunity to move into the management of single-family homes. With the increasing popularity of "maintenance provided" communities, she expanded into the management and maintenance of homeowner's associations which is currently Wheatland's primary management focus. Wheatland is the local company with a trademark of personalized service to the client. We specialize in leasing, management and maintenance of small properties and homeowner's associations in Topeka, KS.